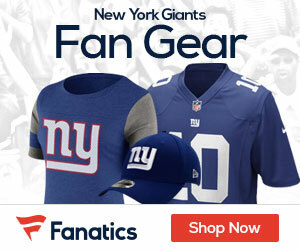 The Giants’ middle linebacker and defensive leader is scheduled to be in Manhattan tomorrow to testify in front of the grand jury that’s investigating the Plaxico Burress shooting, a law enforcement source told the Daily News. Pierce’s testimony will come one day after Burress took his turn in front of the grand jury in the hopes of convincing them not to indict him on charges of carrying an unlicensed and loaded firearm in Manhattan. Pierce, of course, was with Burress at The Latin Quarter club in Manhattan on Nov. 29 of last year when the ex-Giants receiver shot himself in the leg. Pierce allegedly removed the gun from the scene and took it to Burress’ home in Totowa, N.J. As a result of that, the Manhattan DA recently informed Pierce’s attorney, Michael Bachner, that Pierce could be facing charges, too. Of course, some skeptics thought the DA’s public sabre rattling was a way of getting Pierce to testify against his former teammate and friend. For months it had been assumed Pierce wasn’t going to face charges at all for his role in the shooting. Yesterday Giants co-owner John Mara came out in defense of Pierce, saying any charges against the linebacker would be “unwarranted”. Neither Pierce nor Bachner could be immediately reached for comment. A team source confirmed that the Giants are aware that Pierce is scheduled to testify. However, a Giants spokesman said the team would have no comment beyond what Mara said yesterday when he insisted “there was no criminal intent on the part of Antonio” during the Burress shooting. Pierce’s scheduled testimony comes three days before he’s scheduled to report to Giants training camp at the University at Albany with the rest of his teammates.